When I was unwell I tried so many different things to get better – I was doing everything from meditation & medication to therapy & supplements. Because of this I’m unable to 100% identify what one thing was the key to my recovery. 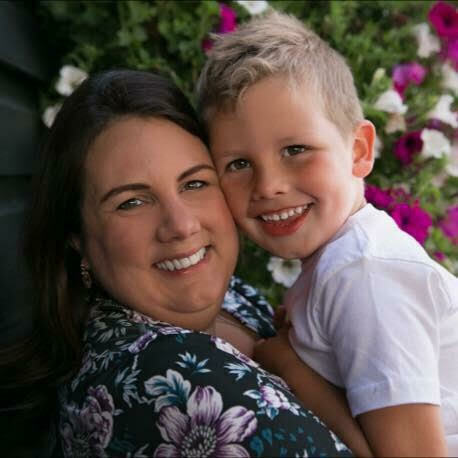 Truthfully, I don’t think there was just one thing – instead it was a combination of treatments and techniques. I’ve written before about prescription medication and how I don’t credit a huge chunk of my recovery to it. Don’t get me wrong, I’m incredibly grateful for the fact that medication exists and I definitely think it helped me to sleep and eat – which in turn helped to give me the strength to learn some anxiety management techniques – but I don’t find they give me the significant mood lift that others report. My philosophy when it comes to Anxiety is to do more of whatever works for you, and for me that’s mostly natural self-help and thinking strategies. 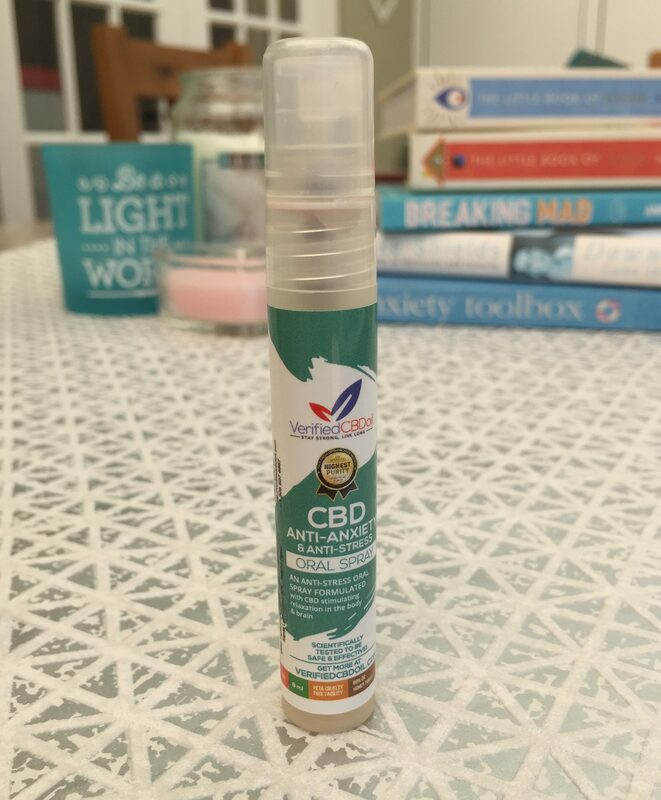 And because it’s always a good idea to a have a selection of weapons in your arsenal, when I was offered the chance to explore the effect of CBD anti-anxiety spray I was happy to take a look. The spray comes in a slim, discreet spray bottle which is perfect for slipping into the smallest pocket or handbag if you’re going out somewhere you anticipate an anxiety attack or overwhelming period of stress. It’s really easy to take (two quick sprays under the tongue) and, unlike other anti-anxiety sprays I’ve tried, it isn’t an unpleasant taste – almost citrus-like. The product is gluten-free and vegan friendly too. So does it work? Although I’m currently well and not struggling with frequent anxiety attacks at the moment I made a point of testing the product during some recently stressful and anxiety-inducing moments. I found the spray induced a pleasant calming effect and was really fast-acting. It definitely takes the edge off my stress enough for me to use the positive thinking techniques I know help me in the long term, it’s also really helpful if you need help sleeping. 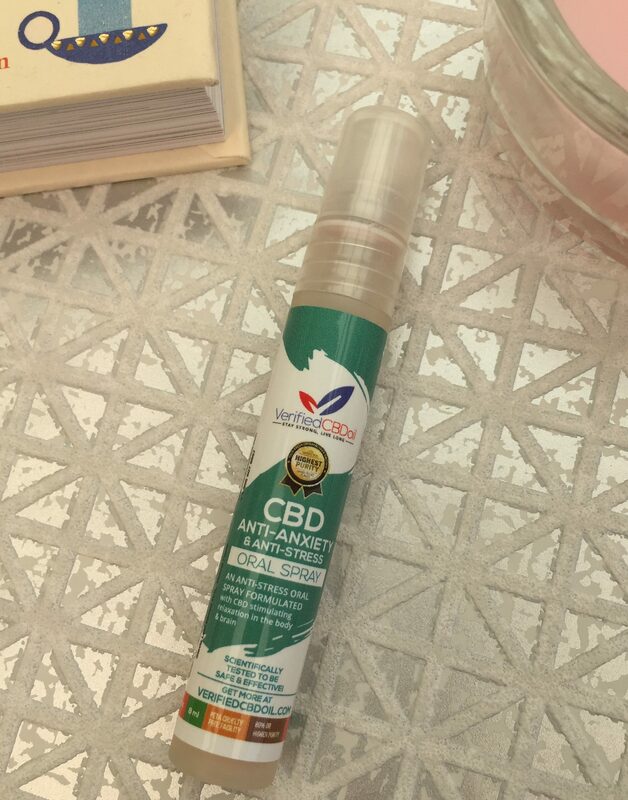 CBD spray has had lots of great reviews and positive feedback, and makes a great addition to your anxiety-fighting toolbox. Warning: Discuss with your doctor before trying if you’re currently on any other medications, including antidepressants or anti anxiety. Disclosure: This is a collaborative post with Verified CPD. Words & opinions are all my own.